DOUBLE AWARD SUCCESS FOR DERBY BREWING COMPANY! 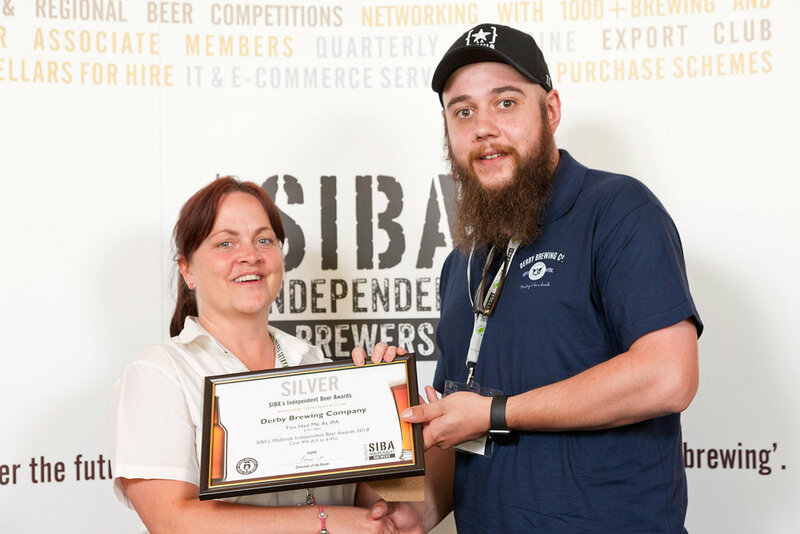 Derby Brewing is excited to announce we have recently won two Silver awards at the 2018 SIBA Midlands Independent Beer Awards. The first was awarded to one of our latest brews, You Had Me At IPA, in the Cask IPA (5.5% to 6.4%) category, which is a tropical ale with spicy undertones and a juicy finish. The second is for a Crafted beer, Midnight Raven, which was awarded Silver in the Bottle/Can British Dark Beers (4.5% to 6.4%) category. Previously Midnight Raven won Bronze in the SIBA Independent Keg Beer Awards 2018 earlier this year. The CRAFTED range can be enjoyed in all Derby Brewing Company venues and is also sold in pubs across the country. The range can also be purchased in 330ml bottles from Derbyshire Co-operative supermarkets. You Had Me At IPA is around for a few more weeks only so get it while you can! STEVE BLOOMER’S WASHING…AND DRINKING DBC BEER!